The Next Generation Mobile Networks (NGMN) Alliance brought together several global operators to showcase 5G use cases beyond mobile broadband at its press and industry briefing at Mobile World Congress. Deutsche Telekom (DT) is preparing the roll out of its 5G-ready LTE-M technology in 2019 with the accelerated development of LTE-M solutions. The company today unveils the finalists of the hubraum LTE-M Prototyping program at a summit in Vienna, Austria. According to a new research report from the IoT analyst firm Berg Insight, the number smart homes in Europe and North America reached 45 million in 2017. 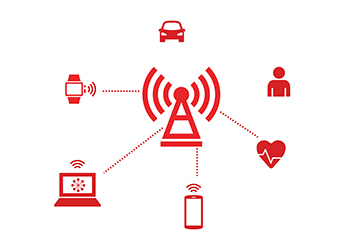 The European market for cellular machine-to-machine (M2M) communications will grow to 416.5 million connections by 2023, from 86 million at the end of 2017, according to ABI Research. This growth, of 384%, will come with the launch of new Internet-of-Things (IoT) based LTE-M and NB-IoT networks and services, notably. 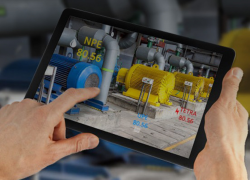 According to a new research report from the IoT analyst firm Berg Insight, the number of devices managed on third-party connectivity management platforms (CMPs) will grow at a CAGR of 30.3% from 120 million in 2017 to reach 440 million by 2022. This accounted for about 18% of the total installed base of cellular IoT devices in 2017. The GSMA reports that mobile operators Deutsche Telekom (DT) and Vodafone Group have successfully completed the first international roaming trial in Europe using licensed narrowband Internet of Things (NB-IoT) technology. Following the news that Vodafone is buying Liberty Global’s European assets for €19 billion, analysts are agreed that the Newbury, UK-headquartered network operator will emerge stronger. But that’s about as far as their enthusiasm goes, as Jeremy Cowan reports.